Well, I have some fun news to share! 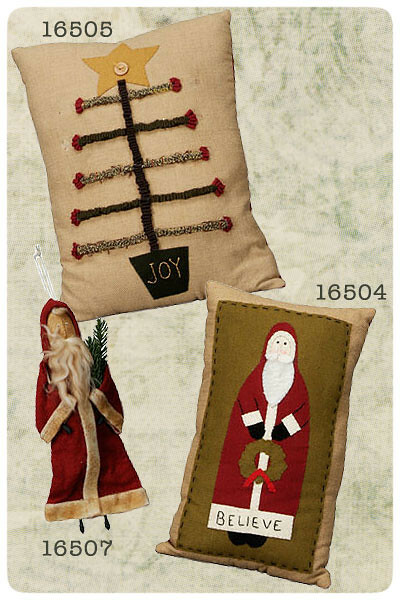 My mom, that's Kathy Parker to you, is a new product designer for Primitives by Kathy! The first seven of her items just came out in PBK's 2010 Supplement. I have a sneak peek below of her charming designs along with their corresponding item numbers in case you want to order a few for yourself! Mom is certainly the force behind my passion for folk art today. When I was little, I remember her weaving all sorts of unusual items from contemporary wall art to Santas. Her style evolved when the country movement hit the 1980s. She was always on the hunt for cutter quilts and accessories to add to her country dolls, and she taught me what to look for too. Soon, I was wanting to try my hand at crafting, and I found myself sewing samplers and patched art pillows. Together we sold our handmade items at local craft fairs, and really enjoyed sharing our creations with others who appreciated our work. Along the way, I branched off and grew fond of the papier mache and paints while mom continued to sew her one of a kind delights. So, we each have our own niche, but we certainly enjoy the art of crafting together. A big CONGRATS goes out to you Mom as you embark on this exciting creative path, and I know your sweet designs will bring many smiles to many people for years to come! * These are too cute for the holidays! 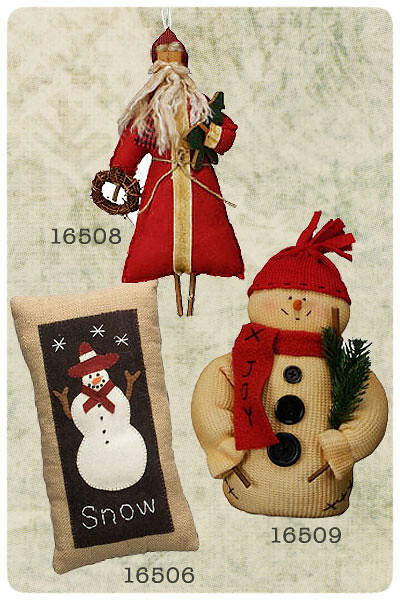 To see Kathy Parker's current line of products, CLICK HERE! What's next on her list you ask...? Well, I suggest she starts her own blog! Mom, it's about time :) Cheers to you! PS.... Did you see mom's holiday home feature in Country Sampler Magazine last year? If not, take a peek HERE!